We started our new art quilt group this morning and wow is this going to be wonderful. There were 5 of us at this morning’s meeting (2 more couldn’t make it) and our purpose was to communicate what we want to achieve with this group. We all agreed that we want to stretch ourselves creatively – to learn and try different things as well as refine the skills already learned. We started a list of topics that we want to be sure to cover. 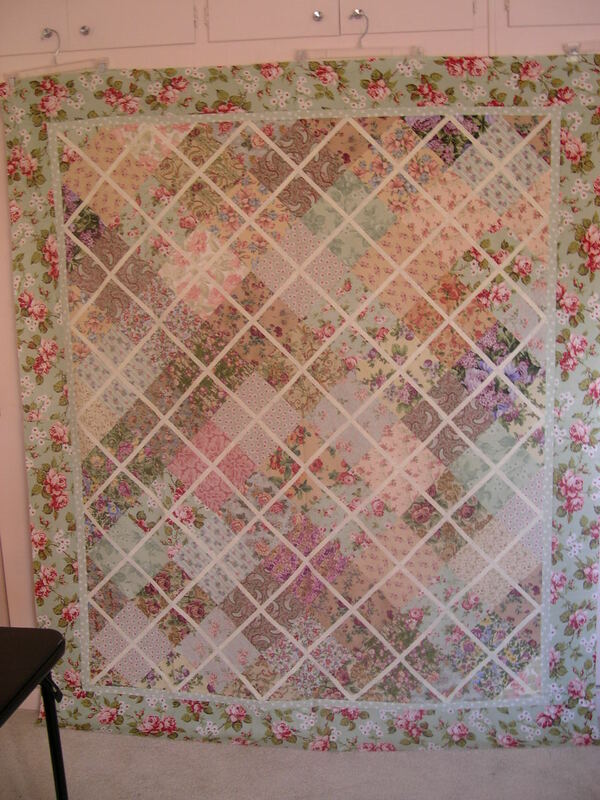 I have several pieces in mind to make – first I really must finish the quilting on my Spring Whispers throw (I’ll post a pic of the top) and get busy with my Hollow Cube Wall Quilt quilting. 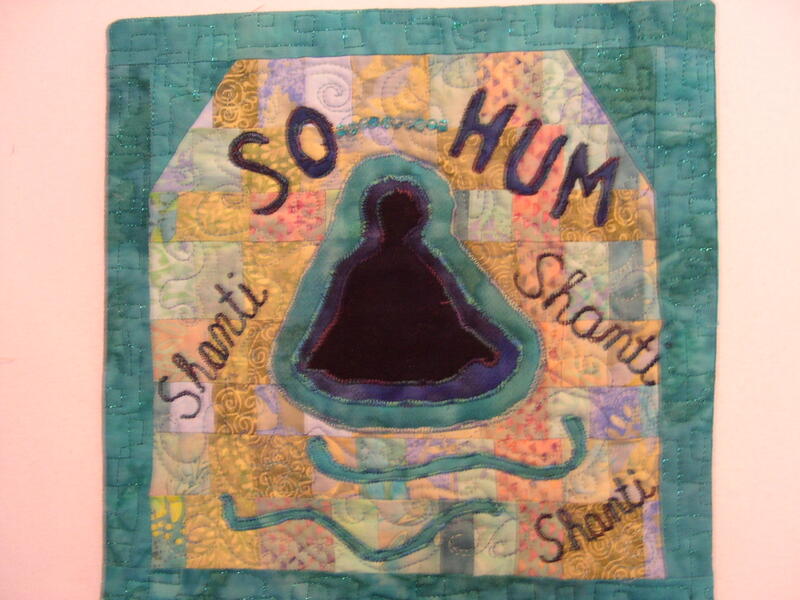 A few months ago I made a little art quilt for my yoga teacher. It was very hard to part with it and I want to do another one along the same lines – just tweak it a bit.